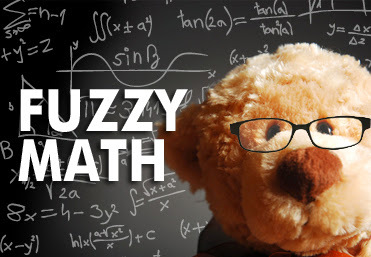 Chaz's School Daze: Academic Fraud Cointinues As The Common Core Algebra I Regents Cut Scores Are Reduced Again. Yet another piece of evidence on trying to get students to pass. At my site seniors were allowed into the school building on Saturday (yesterday) to work on catching up on work. Seniors are also going to allowed into the school tomorrow, Monday, 6/26/17 on Eid-al-Filr - a day where all NYC Public Schools will be closed. Yet this school is having students and select staff come in. Years ago there were regents diplomas and local diplomas. Students took regents and RCTs. Now it seems they have dumbed down the regents so more students can pass. Standards are at an all time low! CUNY and SUNY community colleges are now free. Seems as though students now can earn AA which may really be the "new" high school diploma! LOL! 14 yrs of training is the new 12 years of training! LOL!!! Making America great again for our Politicians. This is insane! This is saying that last year, close to 40% of nyc students didn't get 35% correct on a test where more than half the questions are multiple choice. On basic algebra I coursework where the classes are dedicated solely to teaching material to pass the test. This doesn't take into account those who barely passed and may have gotten gifted a couple points on the written portion, I'd guess that about half of students got a 70 or below, on this scale. For those who haven't seen it, take a look on the nysed website at the previous exams, they aren't rocket science by any means. I could pass it solely on the multiple choice part doing calculations in my head without writing anything down, and I haven't done this stuff in over a decade. Teacher's ratings are based on these stupid kids? Who would want to be a math teacher, study all that advanced material just to encounter a population that can barely add and hates you for teaching them anything where they have to put in a ounce of effort? I never for the life of me understood the lowering of the cut score. Is it any wonder that the more elite high schools (both public and private) don't accept the Algebra I Regents when the kids take it in 8th grade? Many of these schools use their own placement test to determine whether or not the kids are ready for geometry. Well, when they get to college the truth comes out because city students don't graduate. Who is the NYC DOE fooling? Why not simply pass them all. Every teacher should pass every student. 100 percent passing - no matter what. That is the only way to expose this meaningless graduation rate. Carmen will have a fit. Then it will show the country the joke we have in NYC. The DOE and the UFT, by its silence, is fooling everyone and destroying the lives of our students by ensuring they stay poor and uneducated. Diplomas and free college is an effective facade. There are many teachers in serious trouble for refusing to change grades. No integrity from anyone. Go back to Florida, Farina. It is a disaster all over the city, and in Schools like W.C. Bryant High School where they got rid of experienced teachers the results keep plummeting even with the help of the state. Some do graduate and have earned their diploma, but far too many do not deserve their diploma like the ones that truly worked hard to get it. There is a lot of faking of grades throughout the term. A lot of wheeling and dealing. Listen to this. Many years ago I had the chapter leader in my school wanting to have a student transfer out of class because it would bring down the score teachers were rated on. Told the chapter leader cannot do that because it would not be fair to the other teachers that have students with attendance issues as well. Can you believe that? Union plays the game even if they have to sacrifice their own members. Well, sent this chapter leaders on their way. why go back to florida you fool, look at how much money she is taking in! we are the dumb ones. Sorry, typo: fair should be unfair. The last sentence should read: Well, sent this chapter leader on their way. No one cares, especially the students. Stop name calling, example, referring to someone writing on this blog a fool. You could express your thoughts without belittling someone else. Tweed is not concerned if students are given easy passes. There's a reason fast food restaurant cash registers figure out the change for the cashier - it's called a NYC public high school diploma. Those employees are actually the cream of the crop of our graduates, the rest are in jail or public assistance. It's the intentional maintenance of an underclass. The DOE is in fact intrinsically racist. Our schools are also the most segregated in the country. DOE practices need to be exposed. Regents scoring is a joke. Take ELA for example. I have literally seen students on fourth and fifth grade reading and writing levels score in the mid 70s and low 80's on these exams. I am not lying. When I tell my husband who is in private business of this, he can't believe it because to the best of his memory he received a 75 on the exam when he attended high school in the 80's. I scored a 96 on my own during the same time and was always in honor classes. How in the world are students I know for a fact are years behind appropriate levels scoring so high today? Perhaps this is all a response to balance out the insane Danielson evaluation. After 24 years in the system, I no longer have a clue anymore. These practices are known. Even CUNY professors know the nonsense that goes on in NYC public schools. Besides that, check out an article about Landmark HS that came out about a year ago. It stated this is proof that a NYC HS Diploma is worth nothing. It's such a shame because there are many that have worked hard; but far too many do not. Principal and assistant principal quality is very low and they are just put into those positions to provide undesirable ratings yet they are nothing to brag about. Thank goodness have the years to actually make a comparison. People actually cared, now it's about pass them. A high school diploma has to be EARNED. Students should not feel entitled. Nothing will happen because UFT is part of the problem. The federal govt should be sued for alowing such practices. Aren't they supposed to be the watchdogs? I agree with you 100% Now if only we can get parents to see this--the gig would be up. waitingforsupport-the parents along with their children are stupid! what gig would be up? Fraud and corruption is swept under the table under Fariña while many bad principals are destroying our schools.